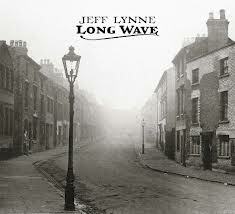 Jeff Lynne, 12": Long Wave. Jeff Lynne: Lead vocals, background vocals, lead guitar, rhythm guitar, piano, bass, drums, keyboards & vibes. Steve Jay: Shakers & tambourine. Look very closely at the Long Wave album cover. The street image seen on the cover of the Long Wave album is of Sherborne Street in Birmingham as seen in the 1950s. Within the image, in the doorway of a local shop (photoshopped for Long Wave to say "Fender" as in the guitar), is an electronically inserted modern image of Jeff Lynne holding a guitar and looking out. Cover design by:Ryan Corey for Smog Design inc.